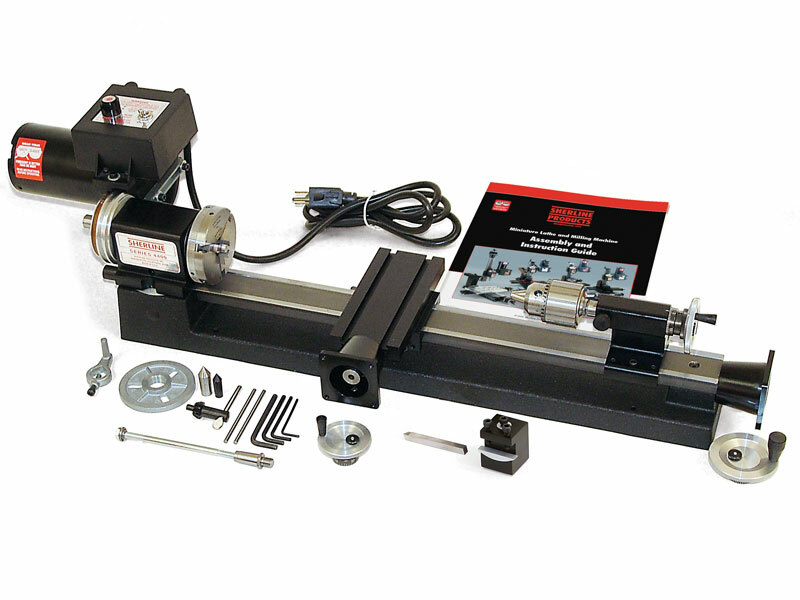 Sherline Products offers a 3.5" lathe in two bed lengths as well as two versions of a small 3-axis mill, a deluxe 8-direction mill, and our latest model that has an 18" base and table with seven directions of movement. Each of these machines can be ordered with stepper motor mounts in place of the standard handwheels. 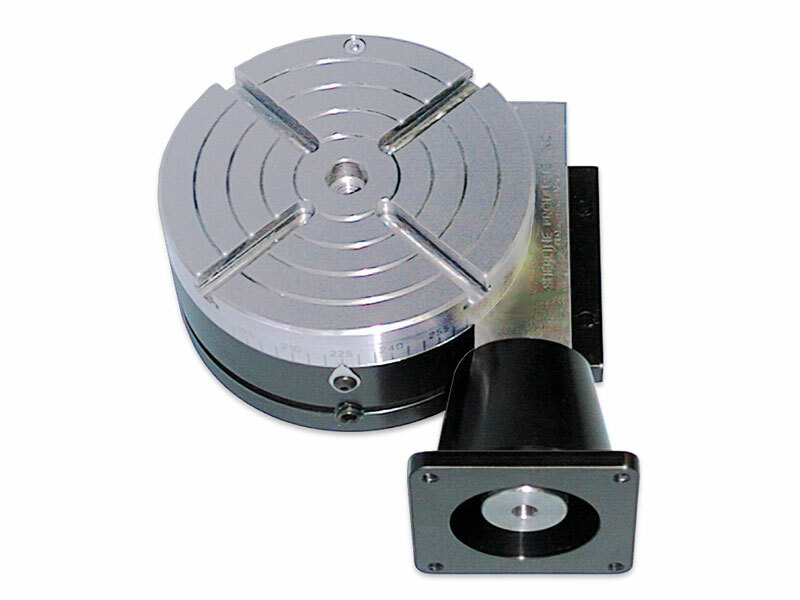 When dual shaft stepper motors are used, Sherline's standard handwheels are used on the second motor shaft to drive the stepper motor manually if desired. Handwheels are included for each axis. 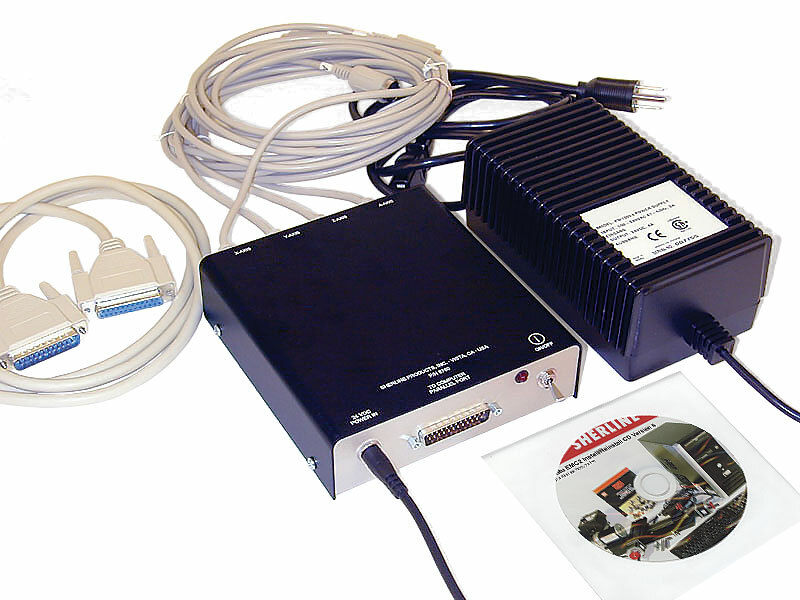 Sherline also offers the machine complete with a computer with installed Linux CNC operating system and EMC2 g-code control program. 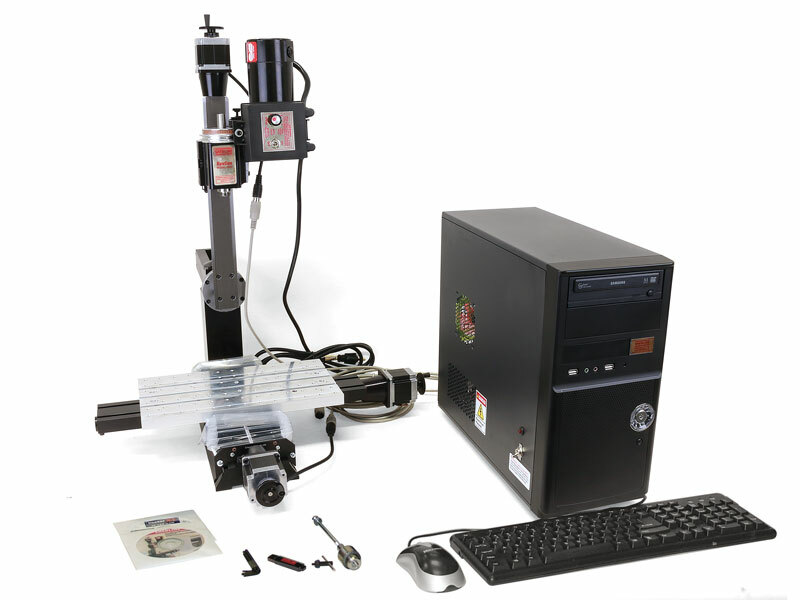 This is a "plug and play" setup complete with everything you need to put a full 4-axis CNC machine on your benchtop. Accessory packages are available that include chucks and necessary tooling. 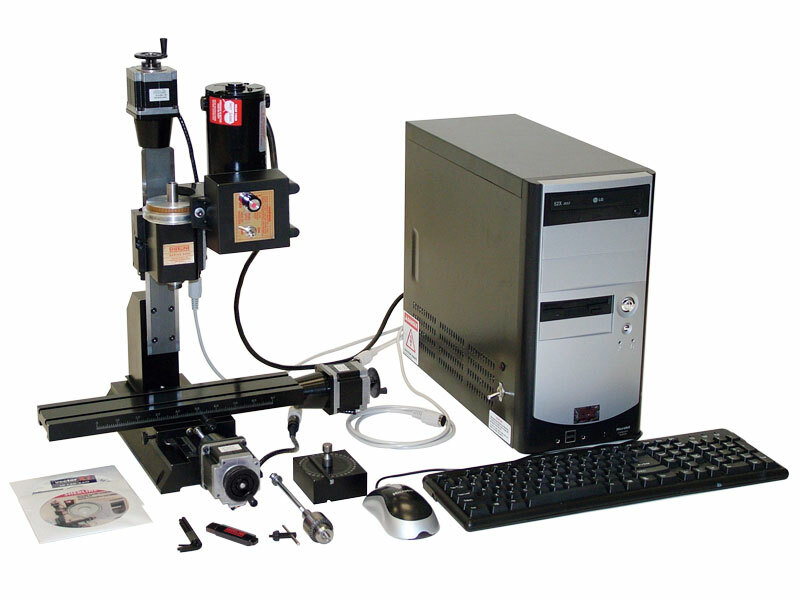 See www.sherline.com for details on Sherline's complete CNC mill, lathe, or CNC shop package systems. 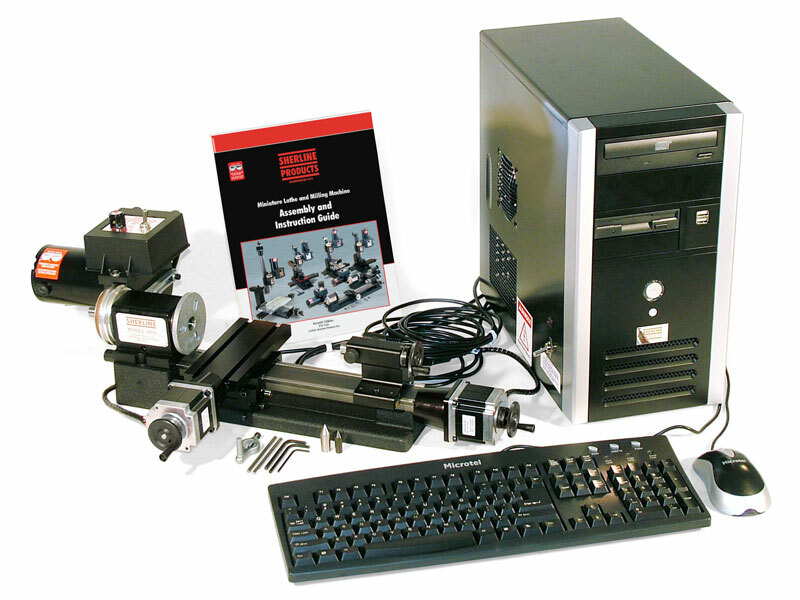 The packages include CNC-ready machines as described below, including stepper motors and computer, and software and drivers to run them. 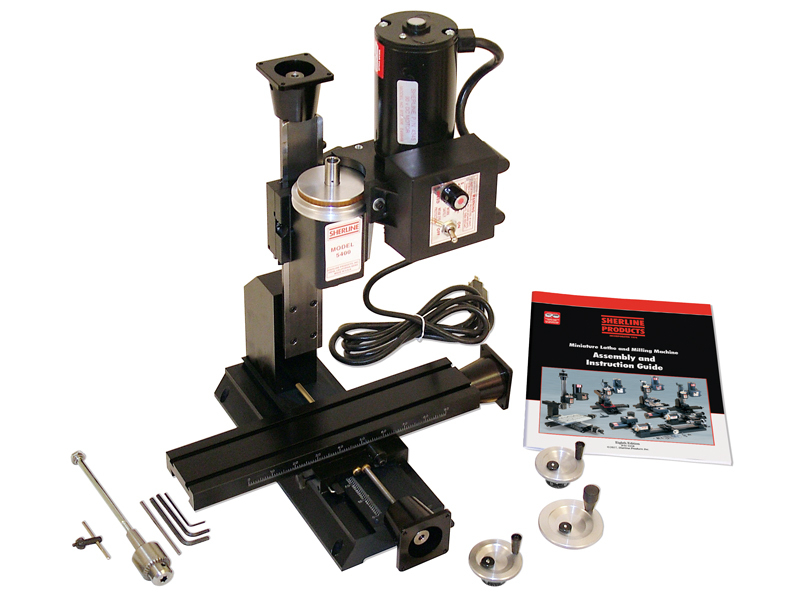 These are perfect for many small CNC operations for the home shop or small manufacturing jobs. They utilize the highly stable, Linux CNC operating system and EMC (Enhanced Machine Controller software developed by the National Institute of Science and Technology (NIST), which runs industry standard G- and M-codes. Linux operates in real time, so no buffering is required to make up for multi-tasking pauses that occur in Windows systems. 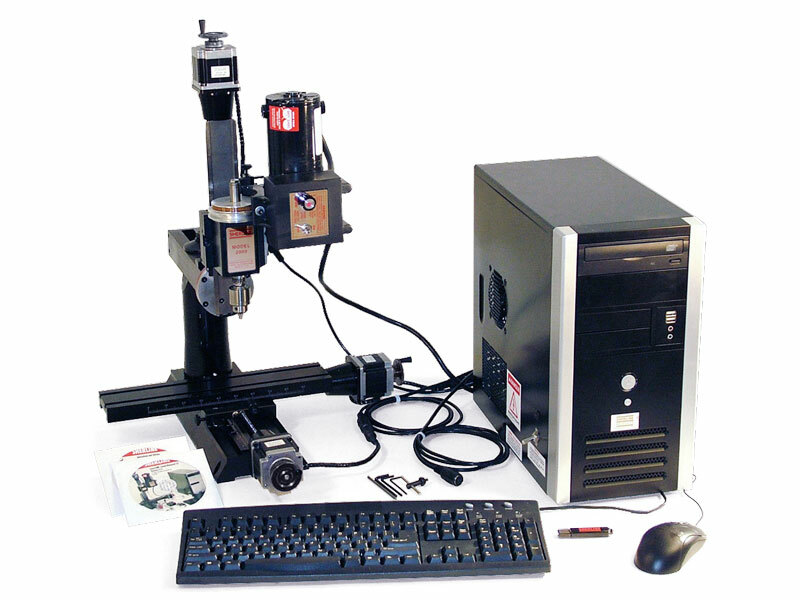 This is a great way to get into CNC or to run small jobs on an inexpensive machine to free up bigger machines for more demanding tasks. The stepper motor mounts supplied with these lathes and mills are the same mounts used on the industrial slides. 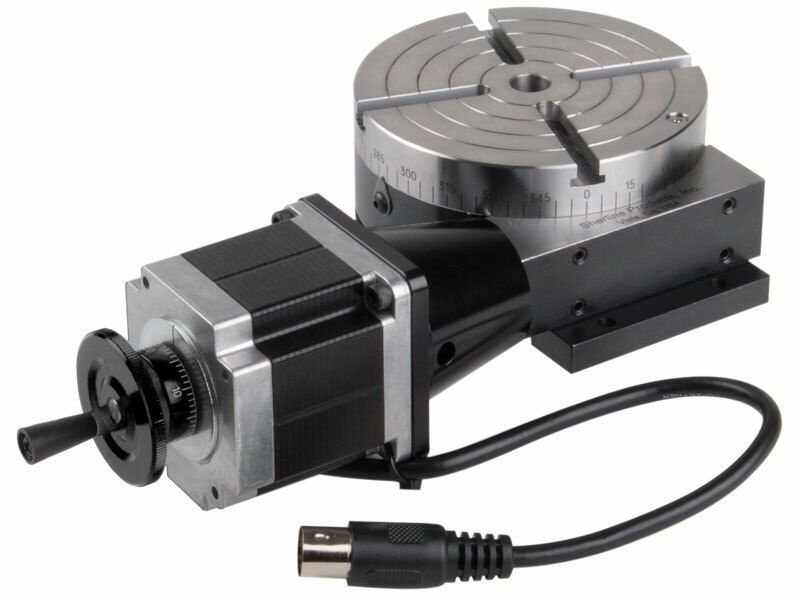 They feature a dampened coupling and are sized to take a stepper motor with a 23 frame size..
Sherline also offers single-axis controllers to drive the stepper motor on any individual axis of the lathe or mill. No separate computer or drivers are needed. 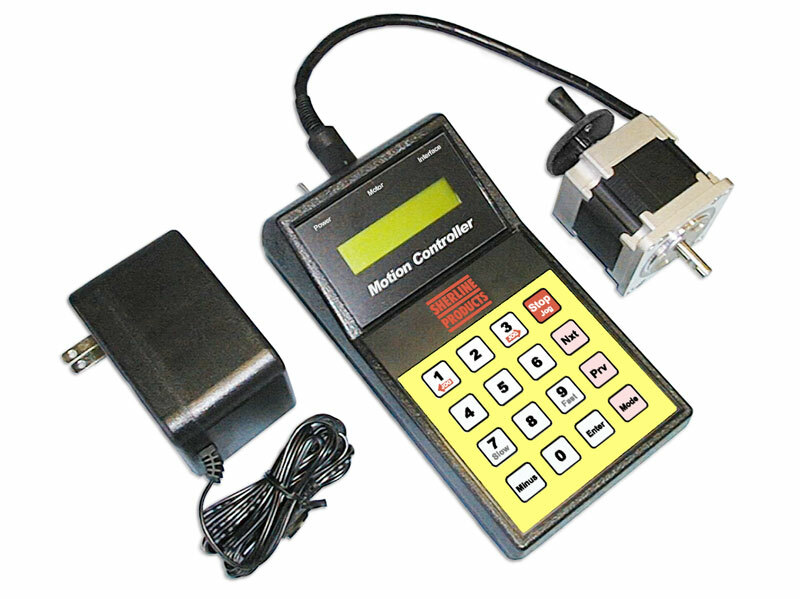 If you want fully programmable control over each axis from it's own individual controller, see our CNC Slides Page. 3.5 x 17" Model 4400A-CNC shown. 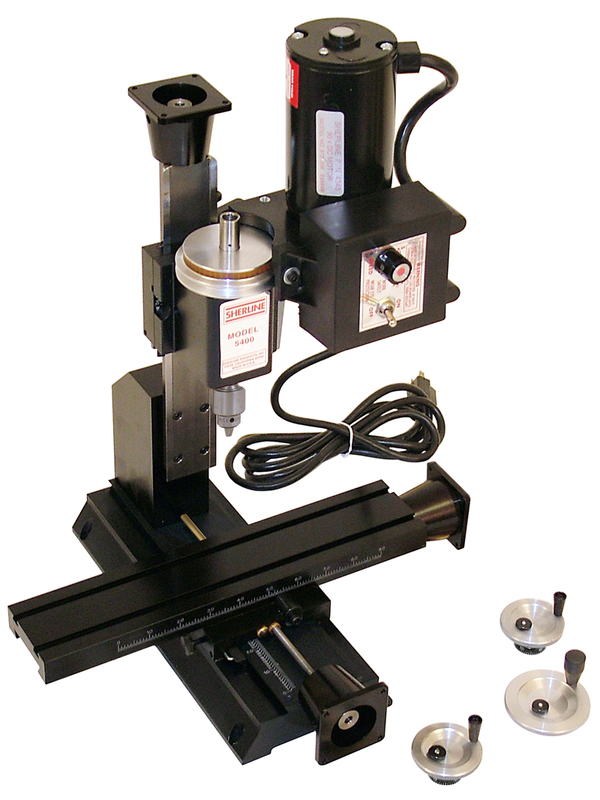 Other machine/accessory packages also available as "B" and "C" packages to make ordering easier and to save money. Call for details. 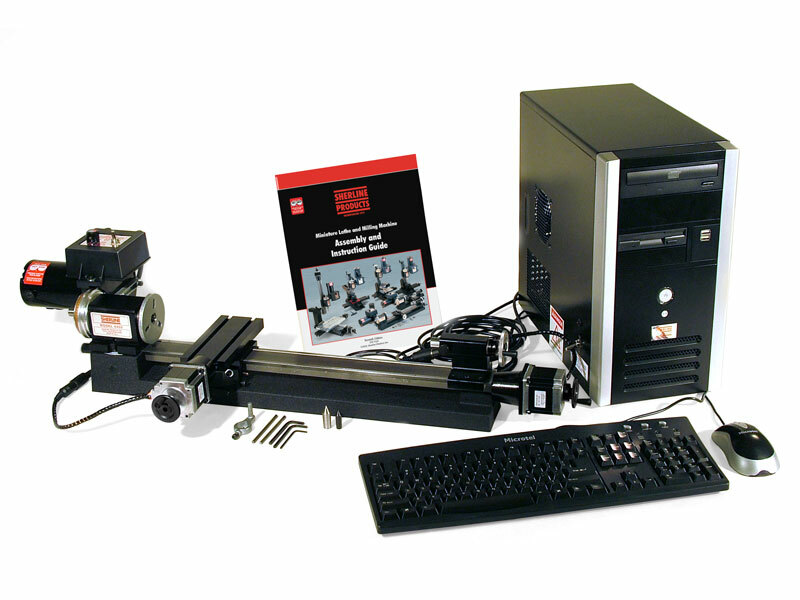 Full shop packages with lathe, mill and accessories are also available with CNC ready or full CNC machines. The same specifications as above, but with 9 more inches of distance between centers for holding longer parts. 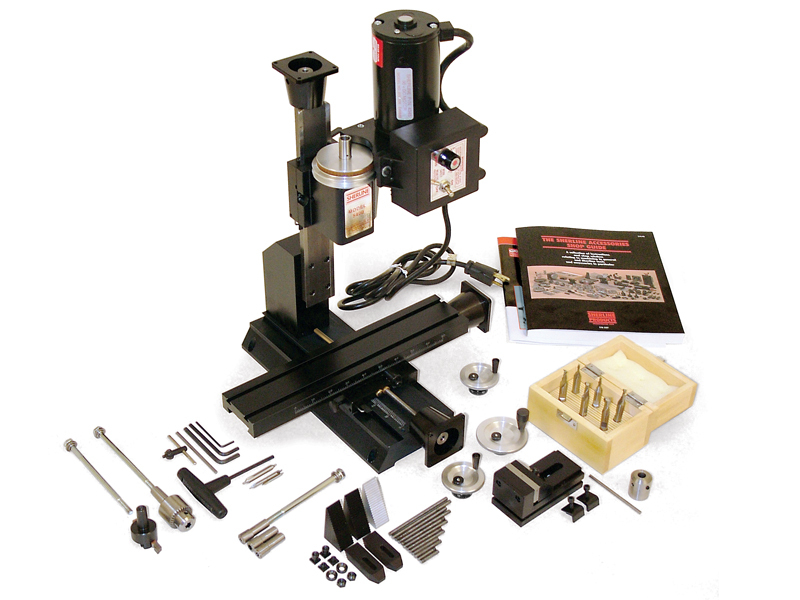 See Accessories page for 3701 right angel attachment or 3702 right angle adjustable tailstock for vertical mounting. *Computer requires 25-pin parallel port for connection. Does not work with USB.